Let's compare user management. 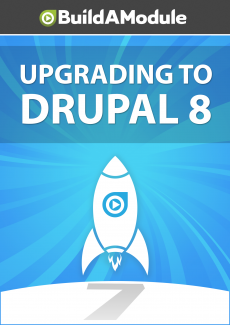 So I'm going to go to configure and then people and then account settings in Drupal 8 and then in Drupal 7 I'll do something similar, I'll go to configuration and then account settings. The contact settings in anonymous users have been swapped but otherwise are the same. We have an administrator role in both and then in the registration and cancellation the only difference is that in Drupal 7 you could set delete the account and its content as the default when cancelling a user account, whereas in Drupal 8 that's not an option anymore. However I'm going to open up people in a new tab and I'm going to add a new bogus user and I'll click create new account, and if I go back to people here with bogus I'm going to delete the user. So I'm going to edit, then scroll down and click cancel account. And when I do I have the option to delete the account and its content, it's just I can't enable this by default. This makes it more secure because we can always delete the content later, but if we delete it now then it's potentially gone forever, and so we have to consciously choose it. I'm going to select at this go around, and click cancel account.